Inspiration Running Low?Is Your Muse out to Lunch?Need a Nudge to Channel Your Creativity? Here’s the first book on writer’s block that’s packaged in the shape of a block—3" x 3" x 3"—with 672 pages and more than 200 photographs throughout. Next time you’re stuck, just flip open THE WRITER'S BLOCK to any page and you’ll find an idea or exercise that will jump-start your imagination. Many of these assignments come straight from the creative writing classes of celebrated novelists like Ethan Canin, Richard Price, Toni Morrison, and Kurt Vonnegut. Within these pages, you’ll learn how Joyce Carol Oates uses running to destroy writer’s block. Elmore Leonard describes how he often finds ideas just by reading the newspaper. E. Annie Proulx discusses finding inspiration at garage sales. Isabel Allende tells why she always begins a new novel on January 8th. And John Irving explains why he prefers to write the last sentence first. OK, so it's a gimmick. A book in the shape of a 3-inch block. It'll take up too much space on your bookshelf. Its 672 pages are unnumbered, making it nearly impossible to find the same one twice. It is full of contradictory advice. And once you've used the book a few times, it'll more closely resemble a splayed slinky than a block. Rather helpful, to say the least! When I received this little hunk of a book in the mail, I wasn't a hundred percent on what I should be expecting. This book isn't necessarily intended for long stories/novel writing, and I don't think that was the purpose anyway. This book is for when you're stuck on a novel or just out of ideas and need something fresh to reopen your mind to new possibilities! Already have I found countless exercises that I'd love to try out, such as writing a story about meeting a celebrity: first from your point of view, and then theirs. Or sitting in the lobby of an emergency room and just writing about the things you see. 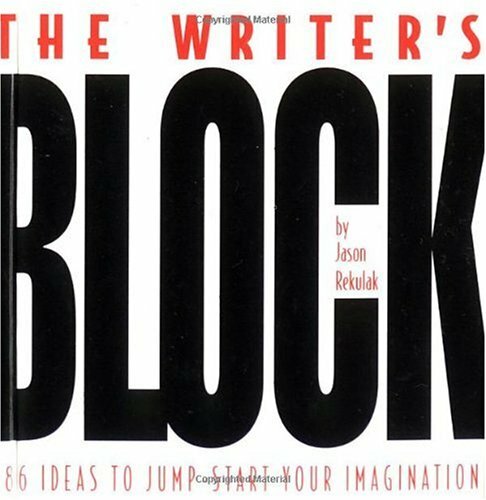 Just about every writer has encountered the infamous writer's block at some point in their life, and this book serves to help you get into the notion of taking ideas from literally everywhere for when you're stuck. It's just a neat little concept, so try not to take it too seriously. When you're stuck, the only way out is to write. It's an uncomfortable size, being a three inch thick cube, and yes, the font is rather small. This isn't a regular book though! Don't treat it as one and you won't have to worry about your eyes going bad from viewing the tiny text for ages. Flip it open and mess the spine up; just have fun! It may work for some, but it most certainly did not work for me. First, I enjoy the actual idea of a writer's "block" but the execution didn't work as well as I would have hoped. The binding is now a little worse for wear after a week or so. Instead of getting random writing prompts, I seem to always be stumbling on the same prompts. It's probably thanks to the creasing of the binding. It's easily fixed by flipping a few pages but it's a bit of an annoyance though. I suppose my biggest problem was that I was absolutely uninspired by this small little book. If you're looking for something to spark interest in writing a short story, then I would recommend this little book, albeit keep in mind the binding. If however, you are like me and are stuck on a novel, do not expect much help. The idea is nice, cutesy and for me it did not work. Again though, if you just want to write short stories, then you may find it inspiring. I love this book simply for the fact, it is full of ideas to start you off. There are different types of ideas, spark words, pictures, little exercises, inspirational quotes. As there are so many ideas in here, even doing 1 a day you would be using it for over 2 years! Obviously all the ideas won't appeal to you, but you are bound to find some that do. The concept is two-fold. One is old: provide writers with a book of inspiring quotes, snippets, pictures and suggestions in an attempt to spark them into gear when that dreaded writer's block strikes. The second concept is novel, make the 672 page book into a "block" of 3 x 3 inch pages. Cute idea, but it doesn't work well. Many of the pages with their tiny typeface are barely readable, a situation worsened by the choice of colored typefaces. I haven't measured, but it appears that some of the type may be around 6 points in size. Now imagine that type in a screened blue or green ink. The 3 x 3 format also doesn't lend itself to underlinding or turning page corners down. Not a big issue, but for a habitual underliner, a bother. None of the ideas or suggestions are blockbusters (pun intended), but if pursued could be a good way to get your mind in gear. "Research an unsolved murder that occurred in your city or town. Speculate about what might have really happened." Interesting idea, if you have the time for it, but probably won't help you hit that deadline today. Some of the suggestions, however, might not be palatable to some, such as writing about the most serious health problem you've ever had. A lot of people might be put off by that, but no one is forcing you to read every page or follow every concept put forth. For $10, it's worth it, but be prepared to strain your eyes. The good news?It means you're a writer.It's not important that you have these times; what's important is how you deal with them. 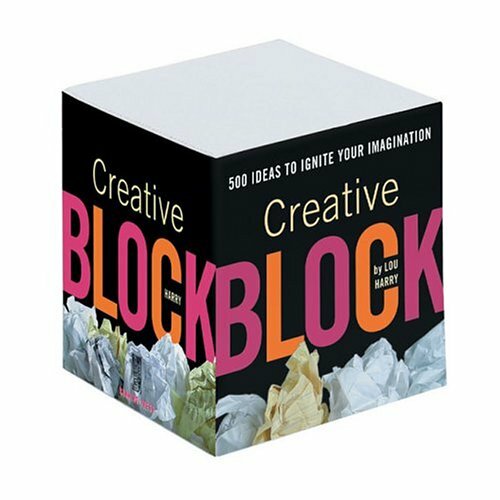 OUTWITTING WRITER'S BLOCK will provide tricks of the trade to help any writer break through the dreaded block and become a more creative and better writer than before. Filled to the brim with exercises designed to jump-start creativity, encouraging tips from fellow writers and instructors, and tools for analyzing the causes and cures for the nefarious Blank Page syndrome, this book is like Drain-o for clogged creative pipes. The heroine waits for you to guide her through the perilous, emotionally charged journey upon which you have started her. Nothing! Absolutely nothing comes to mind. You are as blank as the page that stares back at you. Deadlines loom overhead and time just keeps on ticking by. Crossing your fingers, you begin to pick up where you left off. It's just that simple, right? Wrong - you stop as suddenly as you start. Nothing! Perhaps you should do something else to take your mind off of everything for a few minutes. Suddenly you remember the last time you took "a little break" but it took you weeks to get started again. Where is she? Where is the muse that helped you get this far? Abandoned now, alone with the blank pages, panic sets in as you realize that you have it. You have caught that dreaded writer's disease. You have writer's block. What do you do now? 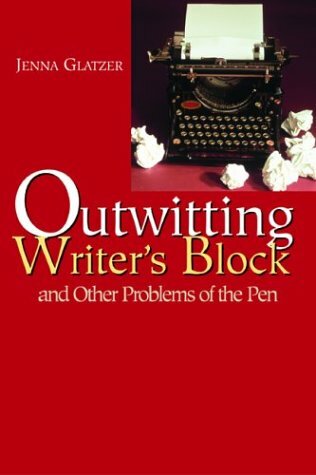 Just grab a copy of Jenna Glatzer's OUTWITTING WRITER' S BLOCK AND OTHER PROBLEMS OF THE PEN. As an experienced, published writer, Glatzer understands the frustration of having a blank page glare at you. Not only does she understand the frustrations that plague a writer, she has developed a comprehensive and easy to follow guide that offers a multitude of ways to combat the enemies of the creative process. Glazter wants the writer to understand that a block is nothing to panic about. She considers it an occupational hazard that even the greats have to conquer. Glatzer lets the writer know that hope is not lost when the page continues to remain blank because there are many effective ways of slaying the beast. In each chapter the writer is encouraged to stay one step ahead of the game by examining reasons why writer's block may rear its ugly head. Exploring the psychological causes of a block such as anxiety, self-doubt, along with unreasonable expectations, Glatzer engages the writer to battle the enemy within first. Included with each chapter are creative writing prompts to help get the creative juices flowing once more. OUTWITTING WRITER'S BLOCK AND OTHER PROBLEMS OF THE PEN is a witty and inspiring way of tackling troublesome roadblocks writers are sure to encounter. From exposing the psychological reasons behind roadblocks to effective ways of eradicating these problems, Glatzer offers encouraging and motivating words to help the writer to write. So whether you are just a novice looking to get that first manuscript completed or an established veteran who needs a little encouragement this is one book no writer should be without. Glatzer's entertaining writing style not only pokes fun at the dreaded "writer's block," but offers advice on other writing topics such as: how to find ideas, how to handle self-doubt and deadlines. Through her clever use of humor and seasoned with personal and other writing anecdotes, she demystifies and offers excellent advice on how to outwit this bane of writers everywhere. For example, under a section entitled "Where to Get Ideas," Glatzer writes: "Another myth is that great ideas are supposed to just come to writers. Like we're all just walking around, minding our own business when wham! A great idea falls out of the heavens and lands in our brains. I, on the other hand, am idea-challenged. The idea fairy rarely visits my home without my asking. I have to invite her, cajole her, and then sometimes bang her over the head with a stick and drag her unconscious body into my abode without my neighbors calling the police. My muse is my mortgage." Her book, her advice and her writing style will inspire writers everywhere not to give up -- no matter what. Her book is also one that writers will return to again and again if not for advice and support then for a great pick-me-up when the writing gets tough. Glatzer has an exceptional talent. She has writing experience that smacks you in the face with its authenticity.She says, "Writers block is really more a case of opportunity knocking and you having your radio tuned up too loudly to hear it." (p. 10) and then goes on to explain how you might benefit from the big WB. Glatzers's book sets an example for writers because it is fresh, carefully crafted, and entertaining. There are, to be sure, other books that address writer's block but this one is far more fun and less dogmatic than most. These are the fraternal twins that let this volume fill a much-needed niche in advice books for writers. I'm buying a copy for each of my clients for Christmas.It helped me break out of the block, so I know first hand that this is a gem to share!Editors: I suggest you do the same for your clients! If you've ever found yourself staring at a blank page all day, or doing mundane chores over again just to avoid that lost feeling, then you've experienced writer's block. And Jenna Glatzer says, "That's good news - it means you're a writer!" Even highly successful writers can't avoid this problem, it's like failure, it happens and we learn from it. What's more important, is that you learn how to manage it. I believe all writers should now celebrate, because Jenna has written a humorous and practical guide that is chock full of tricks of the trade, versatile tools, and writer's block busting exercises that tackle this problem from all angles. It's worth more than a quick read, I plan to keep my copy close by so I can refer to it when those 'moments' happen, and more importantly, I consider most of her strategies to be a proactive way to increase my creativity and amount that I write. I interviewed Jenna Glatzer on "The Inside Success Show" and was captivated by her charm and wit. She's dedicated and a great example of how to proactively manage problems, not just hide from them. **How Jenna Glatzer went from art to acting, and then finally found her creative outlet in a professional writing career! **Why you need to rid yourself of myths and rules to write well. **How to apply relaxation techniques to get back into "the flow"
Whether you're a professional writer needing to jump-start your creativity, a college student needing to meet your deadlines, or a business person who needs to increase output, I believe you will find this book rewarding. I found this book to be extremely helpful in overcoming my frequent issues with writing blocks.The book really helped me to consider the ways that I think about and approach writing which enabled me to better understand why I often find myself unable to write and gave me the tools to develop a new mindset in regards to writing.This isn't a feel good self-help book with lots of specific techniques for overcoming writing difficulties so if that's what you're looking for, then you will probably find this book to be a bit of a bore.But if you are interested in approaching the topic from a more theoretical perspective, you will gain a lot of useful wisdom from this book.This book also focuses primarily on academic writing, which is great for college or grad students or professors, but probably not so beneficial to an aspiring fiction writing (though I may be wrong).If this book could help me after all of the desperate struggles that I've had with writing, then it's bound to be useful to many others as well. I did not really fail.Last year, my first, I completed the assignment, but it was a horrid first novel, so bad as to be shelved rather quickly by me. I was depressed.Honestly, this really got to me.But I tend to want to discover what happened and in the next year, this one, I have read all that I could get my hands on so that led to me reading more and more about the writing process so as to see what i did wrong, why my first novel, well thanks to Keith Hjortshoj (this is a difficult last name) I realise now itwas just my first composition, was such a dud. Keith claims that this book is geared towards academic writers.Well quiet honestly, my academic career is long over, but perhaps it wouldn't have been had I met him earlier, but that's another story.What this review is about is The Best Manual on the market on Writing Blocks.I found his help incredible and his massive bibliography and citation of other books, Peter Elbow, Bonnie Friendman, Victoria Nelson (which is how I found this) Daniel Murray and then John Steinbeck, Georges Simeonon John Irving, and F. M. Alexander of the Alexander technique incredibly helpful. I was stunned to see how much of my writing suffered from not as i thought one problem but a myraid of problems, lack of focus, no attention span, too judgemental,fidgetiness and his chock-a-block how-to manual really hit all my bugaboos chapter after chapter after chapter.I took prodigious notes. I found the Elbow Freewriting exercise to be the most helpful and that got me just writing, but I needed more, as I saw that was not the only problem I had.I was rather stunned and so I read on and saw more and more problems, gee I was rather surprised, how many do I have ? First time, I chucked the book.I got depressed and read the Van Gogh Blues and the Artists Quest for Inspiration, which basically hinted at the same issues, though in a much milder tone, and finally returned and re-read the whole thing.This time i was totally immersed and read thorughly, interestingly and took better notes. Midway through I wanted to chuck it and start on my next composition, but like an over eager patient, I realised I needed to read the whole thing first to make sure that I had gotten the whole thing...and I was glad I did. They say every writer needs a therapist. Now, thanks to The Writer's Portable Therapist, you can have your therapy (less the hourly charge)--and write the Great American Novel, too. 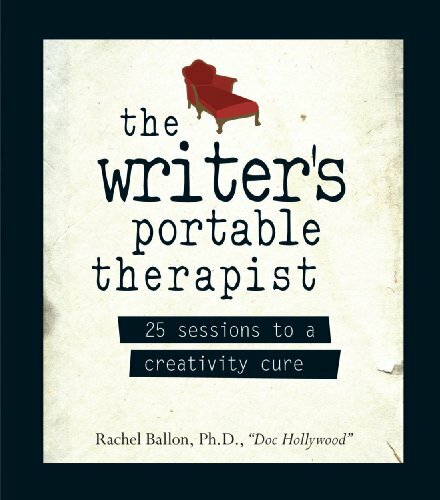 In this inspiring, instructive little volume, noted therapist, author, and perfect muse Rachel "Doc Hollywood" Ballon, Ph.D., sits on your shoulder whispering just the right thing at just the right time. Each chapter is a therapy session tackling a different aspect of the writing life--from conquering "Page Fright" and the perils/pleasures of solitude to tapping into your sub-conscious and nurturing the writer within. Keep this book by your computer! If you're a writer...you need this book.It inspires.It picks you up when you're lower than aardvark excrement.It's not just a collection of quotes.It's a book of writing exercises.It's a book of one-on-one advice.It's like Rachel Ballon, Ph. D., is there with you listening to your frustrations as a writer.I keep it by my computer like a baby keeps a blanket. This book is a gem. And it really is what it claims: a portable therapist for writers. a writer faces, Ballon has a solution. to keep us producing - sometimes against insurmountable odds. writing program in the country. This book is wonderful. Rachel Ballon adddressed every issue I've ever had as a writer and then offered such imaginative solutions. Ballon seems to really understand writers and their process. Other books simply offer pat structures to writing. If you are blocked, it doesn't matter what structure you have in front of you. I'll read this book again and again. Rachel Ballon sure understands the challenges so many writers face. Her latest book is packed with gentle yet practical suggestions that will guideall writers out of their creative stumbling blocks towards completion of their project. Creative Therapy At Its Best! None of us is immune to writer's block. From well-known novelists to students, associates in business and law firms, and even those who struggle to sit down to write personal correspondence or journal entries -- everyone who writes has experienced either brief moments or longer periods when the words simply won't come. In Unstuck, poet, author and writing coach Jane Anne Staw uncovers the reasons we get blocked - from practical to emotional, and many in between - and offers powerful ways to get writing again. Based on her experiences working with writers as well as her own struggle with writer's block, Staw provides comfort and encouragement, along with effective strategies for working through this common yet vexing problem. Topics include: understanding what's behind the block * handling anxiety and fear * carving out time and space to write * clearing out old beliefs and doubts * techniques to relax and begin * managing your expectations as well as those of family and friends * experimenting with genre, voice, and subject matter * defusing the emotional traps that sabotage progress and success * ending the struggle and regaining confidence and freedom by finding your true voice - and using it. Helpful for an artist's block, too. I am an artist with a long history of struggling to get work onto the page,canvas, etc. I find that this book, though it directly addresses the blocked writer, is written for me. Every word resonates, and for the first time in my life I can clearly see that my struggle with being blocked is a phenomenon shared by many; I can see how those feelings of being uniquely worthless and lazy, a non-achieving waster of time and materials is an artifact of misplaced attitudes and expectations. Almost all of the exercises are applicable to visual art, though often with some adaptation. Though I have just finished the book, I have a strong sense of being able to move forward in a whole new way. I have already been able to get back to work for the first time in months. I am very grateful to Jane Anne Staw for her insight and guidance. There are two schools of thought when it comes to "writer's block": 1) Writer's block is real.2) Writer's block is just Resistance (internal whining, laziness) and the best thing is to power through it. If you're a believer in the second school of thought, and yet you're struggling & burnt out & exhausted and your internal tough guy keeps shouting at you to GET OVER IT AND WRITE and yet nothing's happening and nothing's been happening for a while now and you're feeling increasingly demoralized, make yourself a present of _Unstuck_.It can help.It sure helped me. "When you are writing," Staw suggests, "imagine you are a coach helping a tennis player win an important match.In the same way that you would encourage your athlete, offering both reassurance and tips on strategy, encourage yourself as a writer.Remember, your goal is to help the player feel enough on top of the game to win" (_Unstuck_, 215-16). Most of Staw's analogies don't come from the world of sports-- but the idea, throughout, is consistent:support yourself.Dream up the most supportive, tough, caring, wise & perfect mentor that you could find, and start becoming that for yourself.Talk to yourself, write to yourself, show up for yourself, cheer yourself on. The advice can seem at first a little soft, a little touchy feel-y, so you have to be willing to relax and open up enough to try it out.Usually when we're burnt out our inner drill sergeant is running the show, and to him, Jane Anne Staw is a mushy wimp.But just think:is your drill sergeant getting you anywhere?Are you writing?Is it working?How do you feel?Why not try something new? Using the methods espoused in _Unstuck_, I wrote, far and away, the best chapter of my dissertation, the "calling card" chapter, the chapter that all my advisors told me could be a book in and of itself, the one that really blew them away.I blew myself away.I feel really grateful to Jane Anne Staw and her wonderful book, _Unstuck_.And I'm finally done.The proof is in the pudding. 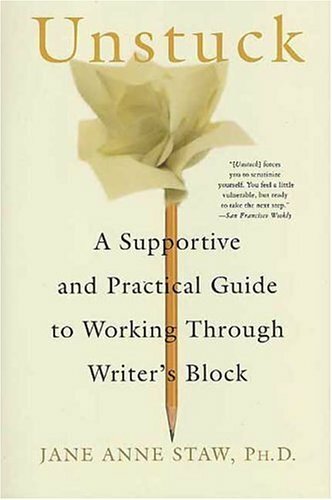 I'm using this book right now and it's a healing and compassionate book for writers. I was already writing again, but the book is helping me to go back and heal the gaps from decades ago when I quit writing. I hadn't realized that I needed to be healed as a writer. The need to write never went away even though I tried not to write. This book is helping me to understand many things. I can't say enough. It's a valuable book if you have ever felt hurt or discouraged as a writer. The author is perceptive and knows of what she speaks. Jane Anne Staw provides movement for writers to get "Unstuck"
In the case of Jane Anne Staw's Unstuck, what matters most, is that the author has written the bible for writers who are blocked. I appreciate her lack of usage of the "B" word, but at the end of the day--Blocked is blocked and sometimes we all need a bit of fiber to get things moving! 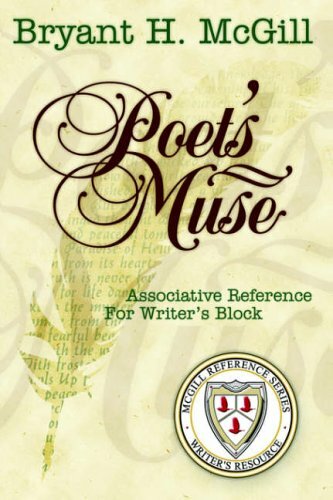 Make this gem a part of your writing resource library. You simply can't go wrong. I am posting this review for a long-time friend and exceptional writer:"UNSTUCK offers us a mother lode of authorial insight, inspiration, and encouragement.Dr. Staw, the ultimate writer's empathist, speaks with the authority of an unblocked writer herself, making this handbook of discovery and recovery both an indispensable road map for overcoming writer's block and a trusty guide for avoiding its recurrence." I bought mine used because I didn't plan on holding onto it for long and I'm really glad I made that decision beforehand.The book looks bigger than it actually is and there aren't as many ideas on it as I thought there'd be.The pictures are fun but kind of hard to spread the pages.Still, it's cute and helps get the wheels moving if you feel stumped.It's worth the buy (USED!) or to borrow from a friend. When you find yourself creatively blocked - turn to a random page in the book for a great, inspiring idea to utilize towards becoming unblocked. Otherwise, if frustration mounts too high - the book is a great size for tossing at various sources of your frustration. A waste of my money, I bought two blocks. They are adornments/decoration for my desk. Have not used one time for intended purpose. This cute little book is filled with lots of great ideas to get you writing in no time. I love the "sparks", little quips and quotes and photos ment to inspire you to think about things in a new light. The tiny square "block" format is so cute. Writer’s block is more than a mere matter of discomfort and missed dead­lines; sustained experiences of writer’s block may influence academic success and career choices. Writers in the business world, profes­sional writers, and students all have known this most common and least studied problem with the composing process. Mike Rose, however, sees it as a limitable problem that can be precisely analyzed and remedied through instruc­tion and tutorial programs. 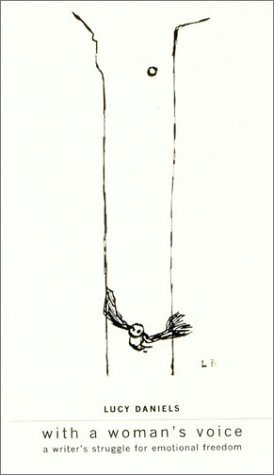 Rose defines writer’s block as an in­ability to begin or continue writing for reasons other than a lack of skill or com­mitment,” which is measured by pas­sage of time with limited productive involvement in the writing task.” He applies insights of cognitive psychology to reveal dimensions of the problem never before examined. In his three-faceted approach, Rose de­velops and administers a questionnaire to identify writers experiencing both high and low degrees of blocking; through stimulated recall he examines the composing processes of these writers; and he proposes a cognitive conceptualization of writer’s block and of the composing process. In drawing up his model, Rose delin­eates many cognitive errors that cause blocking, such as inflexible rules or con­flicting planning strategies. He also dis­cusses the practices and strategies that promote effective composition. 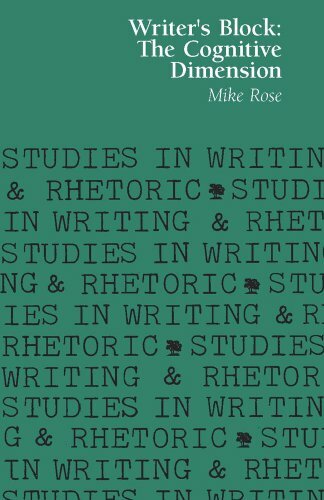 The reissue of this classic study of writer’s block includes a new preface by the author that advocates more mixed-methods research in rhetoric and composition, details how he conducted his writer’s block study, and discusses how his approach to a study like this would be different if conducted today. Victoria Nelson's "On Writer's Block" covers the entire territory of writing process, not just the silences inherent in that process. It's filled with marvelous quotations and wonderful tips. One I loved was: write your own review before the critics to so you'll have something solid to lean against. This book belongs in every writer's bedside library. 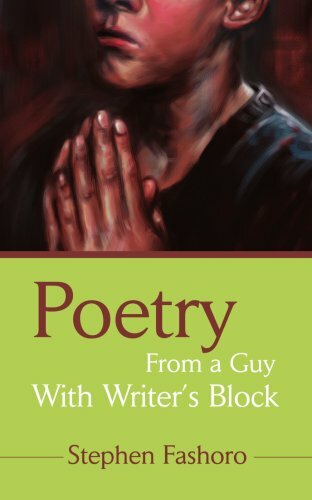 I have never looked at Writer's Block the same way again after reading this book. She shares wonderful stories of other creative artists, defines a number of common blocks, and best of all, ways out. It has a very psychological approach to the creative spirit. When I am completely stymied as to why I can't write creatively, I reach for the books at my bedside - The Holy Bible and this treasured paperback - to place me squarely back on track.Ms. Nelson has the uncanny ability to get me to cast away my inner slave driver who ruthlessly tries to force fame and fortune out of every sentence I write.She reminds me that I am a human being in need of TLC and a change in expectations without using cloying, "self-help" speak.I am forever indebted to her for writing such a wise book that comes across like loving advice from a trusted, experienced mentor every time I read a few chapters.My wish is that other frustrated writers come to know her intelligent solace so they can face the blank page truthfully, in peace and with joy.Thank you, Ms. Nelson, for being such a cherished lifesaver. The title really doesn't do the scope of this book justice. I picked up this book because I was having some problems with a novel in progress. Then I read it and just sighed....clear insight into the writing process, the good, and useless, habits we form and their impact on our productivity. The book addresses a wide spectrum, such as: "Beginner's Block", Procrastination, Perfectionism, Obsessive Rewriting, and Success. Whether you are a beginner or a seasoned professional, this book should be part of your toolbox. It will get you writing....happily. I initially ordered this book after reading another review which mentioned it, in terms of writing, medication, neurology, in hopes that it would help with a problem of my own, namely the effects of Zoloft in quashing the desire, or need, to write. I only gave it 4 stars, because it didn't fulfill my own needs--it's an excellently written book and the writer is incredibly open and honest about her own life and circumstances. If you are interested in any of the subjects mentioned in the book's title, I think you would find a lot of information here. 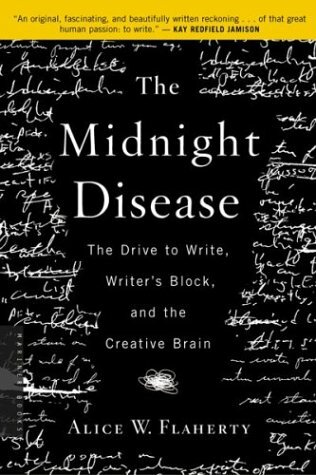 The Midnight Disease is many books in one: a heart-wrenching memoir of a woman's post-partum struggle to deal with the loss of twins in child birth; a comprehensible summary of selected neuroscience findings relating to mania, depression, creativity, language, and writing; a doctor's account of her patients' related disorders; an advice book on how to combat creativity blockages, including writer's block; and relevant anecdotes about how many successful writers have approached their task.Flaherty, a neurologist, says that she was motivated to write it by her "bewilderment about what wire in my brain snapped after the deaths of my first children," one of her symptoms being hypergraphia. Her intended focus on writing expands into broader areas of brain activity and behavior (such as creativity generally, depression, and language and speech) in part because of the paucity of neuroscience research findings regarding writing per se (at least in 2004 when this book was published).She points out that "... writing is not hard-wired to the degree that speech is.There do not appear to be distinct brain regions processing written language but not spoken language, although the angular gyrus may help to integrate the visual and auditory aspects peculiar to written language." This should come as no surprise, since writing probably did not first evolve in any given culture until as recently as about 5000 years ago. Flaherty reviews several theories of creativity, although again she notes the limitations of the existing neurological research. She concludes that people cannot be seriously mentally ill and still be creative, that if there is a link between creativity and mental illness it applies only to mild expressions of the illness.Now diagnosed as bipolar, she surely places herself in the mild category, since she stated in a 2009 interview that she writes during her manias and edits during her depressions.This pattern fits with the simple generating/editing model of creativity that Flaherty seems to accept. For those who sometimes may feel frustrated by writer's block Flaherty offers at least one bit of possibly useful advice.She counsels that one should be less concerned about not writing when not inspired than about being ruthless whenever inspiration does hit; always have paper or a palmtop with you, she suggests (presumably she would allow situational exceptions, such as when her peers might come up with especially bright ideas just as they are redacting brain tumors). Flaherty displays a palatable writing style, leavened by frequent brief light and funny interjections, patients' stories (although do not expect Oliver Sachs), and suitable literary references and quotations.She includes numerous interesting tidbits of information not exactly essential to her main points, but not unrelated either (just one example: she notes that languages with shallow orthographies -- straightforward correspondence between spelling an word sound -- make it easier for children to learn writing quickly).Despite the often distressing subject matter, overall Flaherty makes it feel less like midnight and more like dawn, a time of awakening. One of the most fascinating books I've ever read/I lived some of this book! Last year I was diagnosed with bipolar 1 disorder after the birth of my second daughter.When I went into labor with her, it was midnight (yes!) and I was unable to sleep for the following six nights. My initial sleep deprivation triggered my latent bipolar illness.After my first 24 hours without sleep, I had postpartum mania and acute hypergraphia.While my newborn slept, I literally could not stop writing.I have a B.A. in English and American literature from U.C. Santa Cruz and I have been a professional writer for the past 12 years.However, I had never before experienced the feeling of words and ideas pouring out of me like Niagra Falls when I had hypergraphia.It was an amazing experience, to say the least.It was bittersweet, as obviously my mental condition was bound to spiral out of control.I wasn't properly parenting my newborn or my toddler, and my carpal tunnel in my right wrist acted up to the point where I could barely write.After studying depression and bipolar disorder for years, and being personally exposed to bipolar illness(my 82. yr. old father, a violinist with the L.A. Philharmonic, has bipolar 1.) I realized I had postpartum mania.I Googled the internet, and up came Dr. Alice Flaherty's book "The Midnight Disease".This excellent book could not have landed in my hands at a better time.In some sections, Dr. Flaherty was describing my life with hypergraphia, in such an eloquent, spot-on way.Moreover, her book was so incredibly fascinating,informative, and powerful that I could not put it down.I bought a copy of it for my psychiatrist, Dr. Abarbanel, author of "Lovesick", who also found the book outstanding.I gave a copy of it to my Dad, who agreed with me that it was of the highest caliber of writing.I will continue to spread the word about Dr. Flaherty's masterful work, and I am thankful that she not only examined the creative brain but shared her personal story as well.She is a brave and brilliant writer. This well-researched book ventures into the the very current topic of creativity. It is of specific interest towriters and I venture to say, artists and musicians, but also to students of creativity and invention in general. The writing style is smooth, nicely combining descriptions of very technical matters with easy-to-read prose digestible by laypersons. The book probably could be better organized or divided into sections and subsections so that the reader can better use it as a handy reference. As a writer who also suffers with temporal lobe epilepsy this book is especially close to my heart!Written by a neurologist at Massachusetts General it is written in easy to understand laymen's terms and encourages, as well as empowers, those of us who write, suffer with writer's block (which I do, often...:(), helps us understand our own "creative brains" (as well as helping our loved ones understand us). Perhaps some of you out there are epileptics and don't even know it!Epilepsy is an extremely "varied" disorder and the common kinds of seizures that everyone knows about are not the only ones that people suffer. Write it off, work it out, get it done. 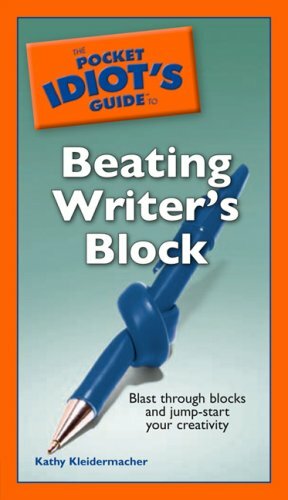 An eminently practical guide to getting unblocked and writing again, The Pocket Idiot’s Guide™ to Beating Writer’s Block includes dozens and dozens of tips, exercises, prompts, and more that will get the creative juices flowing. From something as simple as finding or creating a more comfortable place to work, to assigning a week to strengthening one’s weak points, this is the book to get writers back on track. From his miserable childhood to his mediocre career as a college professor, fate had not been kind, or even terribly fair, to "Kip" Kippur.But Kip's luck changes when he inherits a house in a small coastal village in Massachusetts.He chucks his previous life and moves there to write the Great American Novel--a thinly disguised autobiography. As Kip struggles to transmute a leaden life into golden fiction, he finds himself alone and rudderless in a strange community.He stumbles into a mysterious murder, an awkward romance, a married lady's hot-tub, an unusual proposal of marriage--and an invitation to sail to Florida, during storm season, in a sailboat of questionable seaworthiness, with an autocratic captain and a homicidal crew mate. 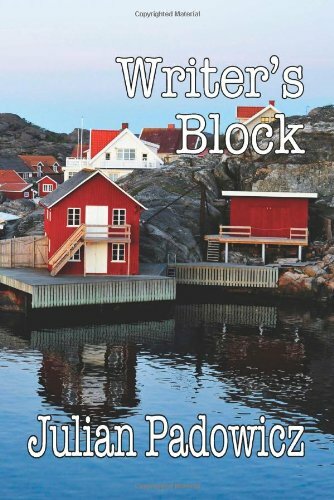 But Writer's Block is more than just the tale of a late-life crisis gone terribly awry.It's also an intriguing portrait of a small town and the complex people who inhabit it.It will keep you riveted all the way to its crashing conclusion. Julian Padowicz's Writer's Block has something for readers of almost any genre.His plot has more twists and turns than a New England country road, which happens to be where the novel is set.The characters, especially Kip, are interstingly multi-dimentional, which adds greatly to the "what will happen next?" mood the book creates.Venice, Mass. turns out to be anything but a quiet New England village and its residents have a wide array of secrets to hide including murder, emotional issues, and marital problems, just to name a few.My advice is to put down what you are currently reading and pick up a copy of Writer's Block. Your only regret will be that Mr. Padowicz hasn't published a sequel..... yet. "Writer's Block" is a refreshing, iconoclastic coming-of-age tale, a proof that 60s is the new teens.There is an air of agelessness around the protagonist.He is both "old before his time" and "reluctant to grow up", a mixture of Don Quixote, Peter Pan and Holden Caufield.Apparently, those seemingly contradictory afflictions go hand in hand.At all times, he is sympathetic and believable.The author's self-deprecating humor never gets old.Every sentence is crafted lovingly, humorously, ironically.Padowicz' prose is like meticulously designed perfume with many notes.The seemingly effortless narrative has multiple layers and undertones.To gain better appreciation of "Writer's Block" the reader is recommended to read Padowicz's memoirs as well. Here is a book to make you smile and put your own troubles to one side as you become entangled in Kip's problems,mostly of his own making as he skips down the proverbial road paved with good intentions. Written with the light touch that only comes with disciplined talent, Julian Padowicz has given us an entertainment that does not slide into oblivion when you have closed the book at the end of the last page.You want to know more. Will there be more? Remember turning forty, for some of us that number was life changing, a new beginning.The protagonist of Julian Padowicz's novel, Writer's Block, turns forty and adds almost three more decades before his life begins again.This fact is life affirming, reassures us that we are never too old, never quite finished.Kip Kippur, born Adolph Kippur, is the only child of a Polish mother who foresees the danger encroaching upon the Jews in 1939.The two, end up in New York City and here we trace the beginnings of young Kip and his relationships with his mother, his peers and the women he meets as an adult. Haunted by the memory of an ambitious mother, a mother who saved him from the atrocities of the Germans only to sacrifice him later for her own personal gains; Kip struggles.Anna Kippur appears unaware that her behavior will shadow her son throughout his adulthood, disable his ability to express his emotions, block his heart.Such was Professor Kippur's life as he neared sixty-eight years, quietly living under the radar at a small college with few friends and the thread of an idea, a book, which would fictionally recount his story. Enter one demised colleague, successful novelist, Rufus Nichols the victim of a freak plane accident, and a twist of fate turns good fortune in Kips favor.He is bequeathed a home in the small, coastal village of Venice, Massachusetts, and makes the uncharacteristic decision to retire and move.But first he asks his dearest friend, Vera, to marry him, when she turns him down, he seems relieved and goes alone to discover if he can write, and if he can really start over. What happens to this gentle character in the company of strangers is why you must read Writer's Block.There is Amanda Lazaro, Erv, Doris Cobb, and Tillman, just a few of the towns people who manage one-by-one to help peel away Kip Kippur's thick layers of emotional insulation, giving him the inspiration to unlock the writer within and to challenge his heart and soul. Separating his everyday life from his vivid dreams turns out to be quite a challenge for the reader and Kip alike. Lucy Daniels' story of overcoming her upbringing by narcissitic parents and of surviving anorexia (and the various "cures" for it imposed on her as a teenager) is an emotionally-draining read. Daniels is a woman who went through a private hell from childhood and into adulthood, but managed to finally free herself. In her 40's she was able to go to college, acquire a PhD, and start a career as a successful clinical psychologist. She attributes much of her great progress to the help of her psychotherapist. This book is a confirmation that good therapy is worth the investment (both of time and money) even late in life. I highly recommend it! Lucy Daniels has written a book that will inspire hope in all readers who struggle to master the trauma of childhood. She is a gifted, award-winning author, whose compelling style combines with stunning candor to make this book read like an intriguing novel.And yet this is her true life story --one of enormous courage, creativity, and ultimately redemption. In this spellbinding, utterly unconventional fiction, an aging author who is identified only as Reader contemplates the writing of a novel. As he does, other matters insistently crowd his mind—literary and cultural anecdotes, endless quotations attributed and not, scholarly curiosities—the residue of a lifetime's reading which is apparently all he has to show for his decades on earth. This book is definitely out of the ball park. It isa very interesting read while being a bit unusual. The writing style is experimental and informative. I am currently reading it, andI am glad I made this selection. Reader's Block is a fiction, although not necessarily a narrative, of an author (Reader) determining the protagonist of his new work. (Potential) bits and pieces of the character, environment and history of the protagonist are interspered with 333 unattributed quotes of literary trivia.These quotes provide a repeating insertion of anti-Semitism into the fiction. Sound like an intellectual playground?Perhaps, expecially given the breadth in space and time covered by the quotations.However, this is a fiction that works - that keeps the reader interested in the text and provides a significant character study of Reader through the potential choices regarding the protagonist. Thouroughly original, highly intellectual, and finally deeply moving -- an account of the persistent odd role of adversity in literary creation. Markson discards the narrative form and focuses on what's interesting, the tidbits and anecdotes.The message of the novel is what he focuses on, the deaths, the misfortunes, the tabloid-like stories of the literary and philosophical giants.While throughly readable and engaging, I didn't find this work to be revealing or insightful in the way would stand up to some of their great ones.Perhaps I'm missing his allusions, but the insight of an anecdote is in its application, and in the stripped form of this novel many of those allusions read as if from a book of quotations. Looking for a new/ancient genre? "Reader's Block" somehow manages to pick up where "This Is Not a Novel" left off, even though the latter was written later. This is managed by TINaN being more polished, more reader-ready, more "practiced," and is thus a good introduction to the genre; but Reader's Block is more true to the genre by being less "produced" and therefore more "honest." And yet, if you go back even further to "Wittgenstein's Mistress," the genre is exploited in the form of actual fiction-- biographical fiction, to be sure, but fiction nevertheless-- so that if one needs fiction as an introduction to the genre, one has it available, and again, Reader's Block will pick up where W'sM leaves off. I can't speak to still earlier works by Markson, but I can say the "adventurous reader," the literary equivalent of the day-walker who sets out in strange cities with nothing more than a bottle of water and power-bar, will enjoy the adventure of discovering this genre. "This Is Not a Novel" is the packaged tour; "Reader's Block" is the nitty gritty. 17. Telling Lies for Fun and Profit : A Manual for Fiction Writers. Very well written and hopefully will be as helpful to other writers as it is to me. Lawrence Block is one of my favorite writers. Who knew he was also an excellent teacher? This book will be helpful for novices as well as more experienced writers. The advice he provides is excellent. I like that he discusses his own writing along with others and critiques what works and what doesn't--and why. Everything's in here including plot, characterization, dialogue, rewriting, marketing, and even, yes, a dab of philosophy and spirituality. You'll be a better writer (and reader) for having read this book. If you have read any of the other reviews here you will already know that Lawrence Block is a great writer who has produced many successful books. He also is a very generous man when it comes to sharing his very real understanding of how to put words together. Actually, Block has come out with several books on how to improve your writing. He has taught seminars in this field, done a multi-year column in Writer's Digest on this topic and responded to the needs of many professional and not-yet-published writers. This book is a gem. It is one of those volumes to which you will return over and over again. Like a good friend, it is here to support you and, basically, help you out regardless of wherever you may find yourself. Sue Grafton, who wrote the introduction to the 1994 edition, laughs that she picked up the book in the middle of a dry period in her writing. She was just stuck and really stewing in her own juices. In her hands she held the sure remedy. This book. Whatever the price, it is cheap for what you get. I can't speak highly enough of the books of Lawrence Block. He is a highly skilled writer, teacher and all-round great guy. And, as you will find when you read this book, he has amazing insight into what you are struggling with. This book is really a collection of essays offering advice to novice writers. Topics include discipline, the craft of writing, revising, marketing, and more. In most of these essays, the author uses entertaining stories from his own writing life to illustrate his point. While some of the details seem quaintly out of date (for example, the references to rolling a sheet of paper into your typewriter), the book offers tons of advice that is fun to read and relevant to writers of any age. Lawrence Block is an absolute master of the mystery genre, so much so that he was voted Grand Master by the Mystery Writers of America back in 1993. The man has an incredible output of novels and short stories, and along with Elmore Leonard dominated the mystery scene of the `80's and `90's. 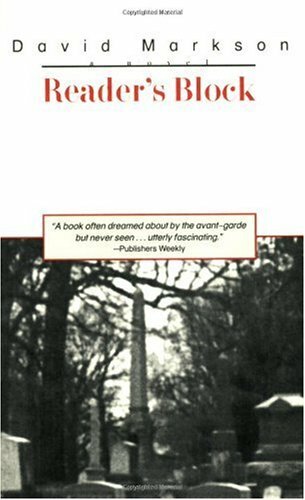 Until this past year, I'd never read much of Block's work, preferring newer authors and titles. So after reading a title from Block's Matthew Scudder series, I looked forward to reading TELLING LIES FOR FUN AND PROFIT, hoping to discover a little of what makes Block tick as a writer and if any of that could help me in my writing endeavors. The result? Block definitely hits it out of the park with this book. Lots of great tips on visualization, characterization, creative plagiarism, procrastination, how to submit your work to publishers, framing, distancing--the list goes on at great length, not to mention at a great service to all would-be writers. 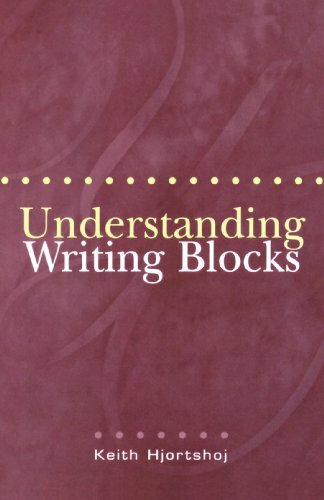 Block touches on so many aspects of the writer's life--including, infamously, his comments on how many writers don't actually enjoy the process of writing, but are pulled along at the thought of the finished product--that it's hard to think of what Block DIDN'T cover in this book. Sure, some of his advice seems to be cliché by now, and no doubt it can be found in numerous other writing books. But when you consider that Block wrote this book in 1981, you realize that he was ahead of the game just that much. 18. 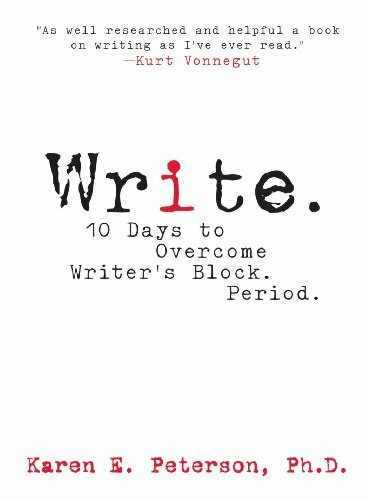 Write: 10 Days to Overcome Writer's Block. Period. This book might be helpful if the reader were a split-brain patient--a person who has had surgery to separate the left and right hemispheres of the brain to control epilepsy.For everyone else, the two sides of the brain communicate with one another directly and extremely rapidly, mainly by way of the corpus callosum, a thick band of fibers.The author is apparently unaware of this fact.This means that her repeated advice to respond to checklists separately with the dominant and nondominant hand to reveal the different thinking of the two hemispheres is simply nonsense.So the reviewers who said their two hands gave identical responses now know why. (For those who did get different answers, there are simple explanations for that that have nothing to do with hemispheric differences).Since this faulty understanding informs all of the book's recommendations, I found this book a great disappointment.There are some interesting bits about the work of Allan Schore, a brilliant thinker on the brain and development, but other than that, there is little of value to be had here. Having struggled with writing (actually, not writing) for years, I found this book a refreshing new approach. I picked it up at a bookstore on my way to the airport, next thing you know I had 5 notebooks filled with writing on a variety of projects. Since writing is a very particular endeavor, I can see how this approach might not be for everyone. Having co-authored one book already (and being in the middle of two more) I have found this book full of incredibly useful tools. I loved this book. It helped me face some things within myself and helped me get over my writer's block.The sections on publication weren't applicable to me. But the psychiatry was bang on! This book is about procrastination. It explains what it is, how it develops, and how to defeat it. It deals expressly only with writers block but should help those procrastinating over anything. Great book - and I got results!! 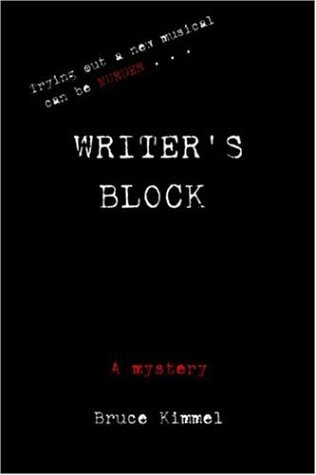 WRITER'S BLOCK is one of the most unusual and intriguing mystery stories that I've ever read. Essentially, it's the story of a new (fictional) musical-comedy, from its first read-through to when it becomes a smash hit on Broadway.But, on opening night, there is a tragedy.One of the show's creative team has died in a fire.Was it an accident, or was it murder? There are a couple of elements in this book that make it unique.I'm not going to tell you what they are, because then I would be a spoiler. The book is a quick read, a real page-turner.Author Bruce Kimmel has not only created a first-rate mystery, but he also gives you an entertaining look at the world of theatre and the people who populate it. Indeed, part of the fun is trying to guess the identities of the real people were the inspiration for his true-to-life characters. Writers are often told, "Write what you know." Good writing needs a ring of truth, an authenticity, and enough details to make it real and believable. In "Writer's Block," Bruce Kimmel has done just that. The story takes place in the world of musical theater, a world Mr Kimmel knows intimately. Arthur Myerson, a writer, is having difficulty with the second act of "Bus and Truck," a new musical that is not quite coming together. Tempers flare, the plot thickens, and then, the young composer/lyricist is found dead. Although myself a mystery lover, I know I would have enjoyed this story even if it hadn't been a mystery. The characters are colorful yet real, the plot interesting, and it moves along nicely. It's clever and well-crafted, a fascinating read that is likely to be a hit with theater lovers and mystery lovers alike. It also has a surprise ending, which I quite enjoyed. A must-read for the theater crowd, and a good pick for all. Bruce Kimmel has produced a mystery book that even professed "whodunit haters" will love.From the first words ofthe story you are drawn into the world of 1960's musical theatre, skillfully painted by one who knows it well. In no way is this the usual formulaic treatment found in your average mystery/thriller, and Mr. Kimmel throws one heck of a curve ball,,,several times! I read this book cover to cover in one sitting, unable to put it down, and then tover the next week re-read it again... and again. I highly recommend this novel to mystery lovers, mystery haters and anyone who has ever been in, attendedor heard of a Broadway musical.Highly entertaining, and thought provoking. I must say that, as one who is not normally a reader of mystery, I was wary that this book might not be for me...I am happy to say that I was wrong.So intrigued was I by the 1960's Broadway background that I was easily swept into the story--one that kept and held my attention not only through a series of interesting plot twists and narrator turns, but also stuck with me in such a way that I was still contemplating the story days after I finished.That, I believe, is the sign of a good read.Well done, Mr. Kimmel.The Kritzer books are next on my list! Bruce Kimmel, whom a lot of us came to love as the leading producer of show music over the last decade-plus, had a career previous to that in film and television (we won't count his early theater work, since that was largely school-based).For the last couple of years, he has pursued a third career, that of novelist, with the zeal and savoir-faire that have marked his two previous endeavors. Unlike his recent Kritzer trilogy, Writer's Block is a neat little mystery, with a "Deathtrap"-like structure that provides a nice surprise about halfway through the book (not so surprising when one considers that Ira Levin and Kimmel are friends).What really makes Writer's Block tick, though, is Kimmel's insider knowledge of the trappings of musical theater, and he peoples his book with a nice gallery of not-so-secretly renamed folk from the golden age of Broadway:think Merrick, Champion, Laurents, Sondheim. I only have two minor quibbles with this book, and they are very minor--most importantly, I wish it were longer, with more time devoted to fleshing out the characters and giving them a bit more backstory.The characters are exceedingly well-drawn in the time that is given to each in the book, but my sense is if you don't have a pre-existing image of David Merrick or Gower Champion, you might not get the full gist of their counterparts in the book.My second quibble is with where the murder is placed.It's where it is for a reason in the book, but I personally wished the book would have started with the murder, then begun with the story as written, leading to the first denouement about halfway through.I've probably been reading too much Dan Brown lately.